Blockchain isn't a single technology, rather it's an architecture that allows disparate users to make transactions and then creates an unchangeable record of those transactions. Our team of blockchain developers develop, maintain and evaluate blockchain and cryptocurrency related products, web services and provide long-term assistance and advice on related technological and operational matters for our partners worldwide. At kryptominds, our developers team works on distributed ledger technology, architectures for public and private blockchains. Our team provide you with the programming of scalable and distributed applications and custom-built protocols. We also work to advance decentralized web technology using blockchain as a service (BaaS) tools from IBM, Microsoft Azure, and Amazon Web Services (AWS). Our developers team program immutable smart contracts for blockchains, supplying decentralized web solutions for the ecommerce, finance, real estate, supply chain management and gaming industries, among others. We code smart contracts for registering loan requests and intellectual property, validating insurance eligibility, generating letters of credit for international transactions, creating Decentralized Autonomous Organizations (DAO), and more.  Kryptominds team offer advice on the strategic employment of blockchain technology based on a thorough analysis of your company's profile whilst drafting along your ideas of development. We will assess the potential of blockchain technology in your company and discuss possibilities of optimization. As blockchain is not the solution for every problem, we can help you find the right fit for your needs.